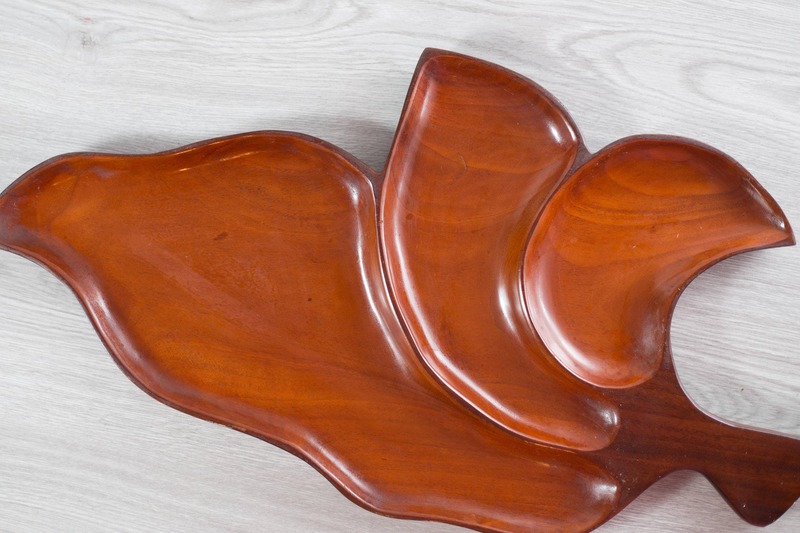 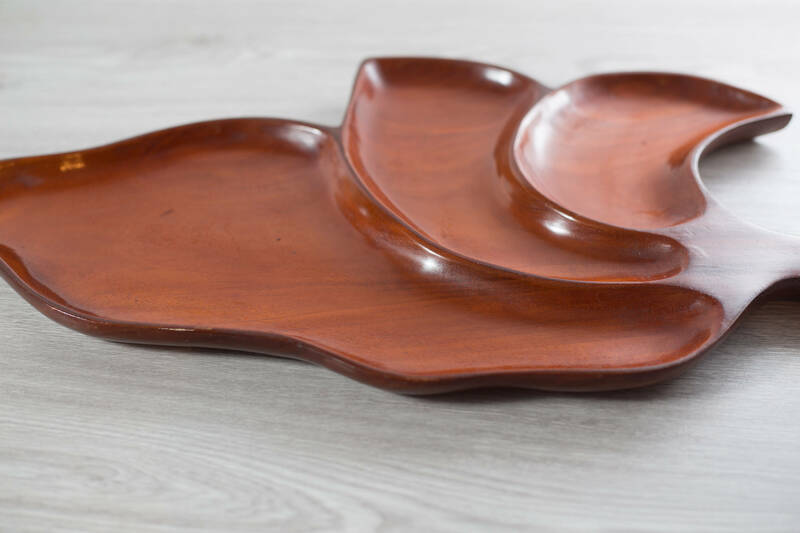 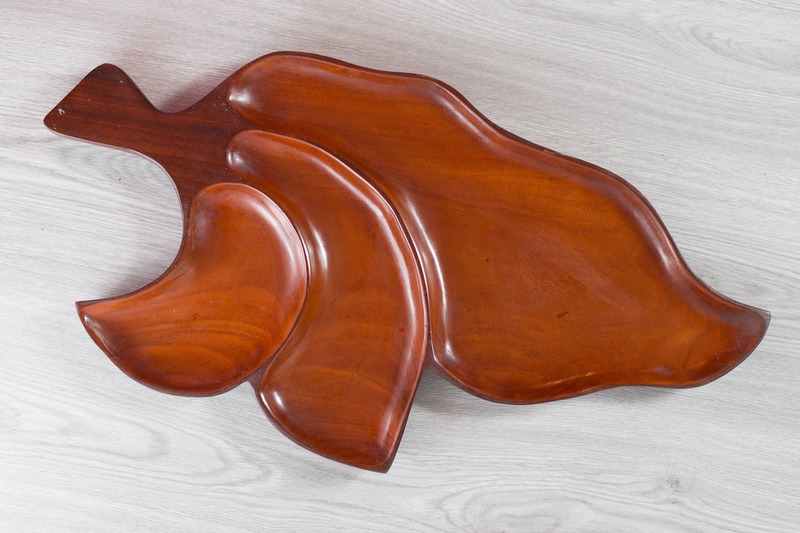 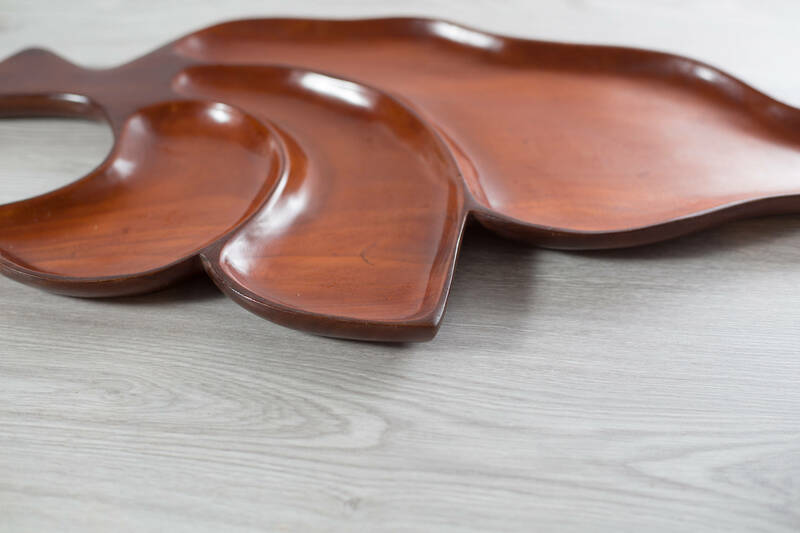 This listing is for a large wonderful hardwood divided leaf shape snack serving tray. 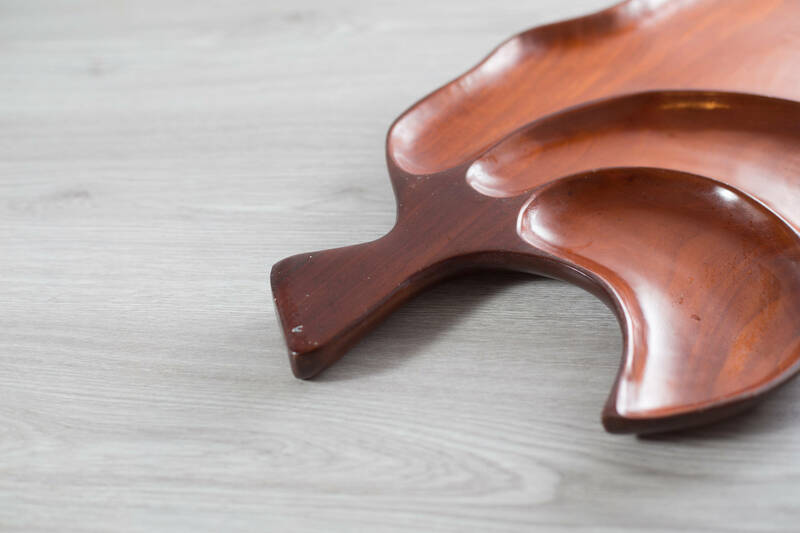 It is sleek in design and practical in use. 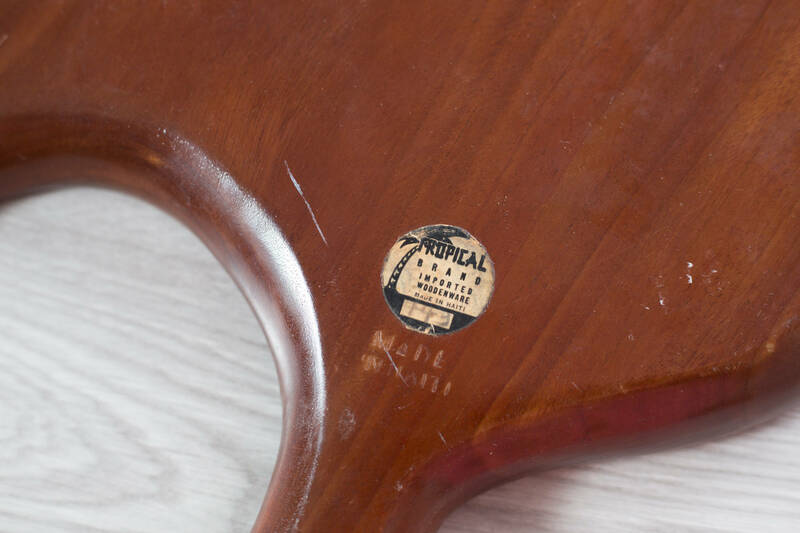 Bottom stamped, "Tropical Brand Woodenware Made in Haiti".